Usually when a tourist island launches a new event, the goal is to build tourist volume. 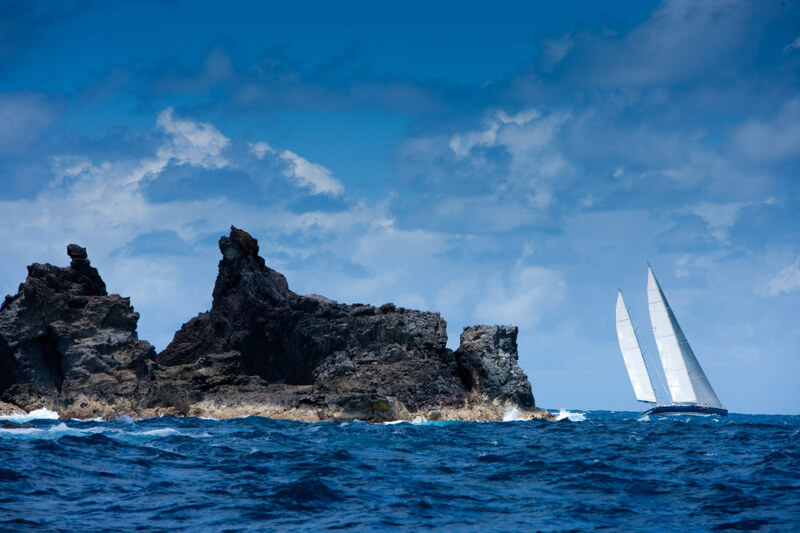 At closely-held St. Barth, the thinking is different. This island of 8,000 residents, small hotels and a total of only 450 hotel rooms is running pretty much at capacity—but it has noticed a dip every year, right after Easter. 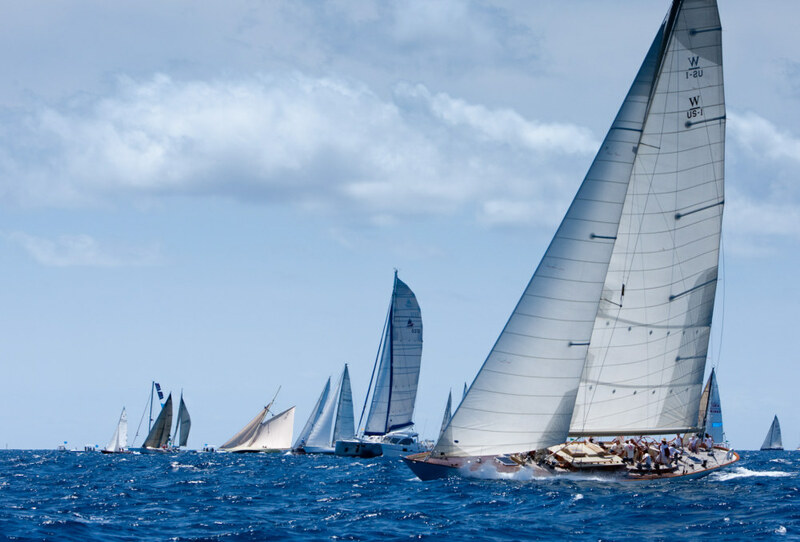 Voila, why not hold a regatta? 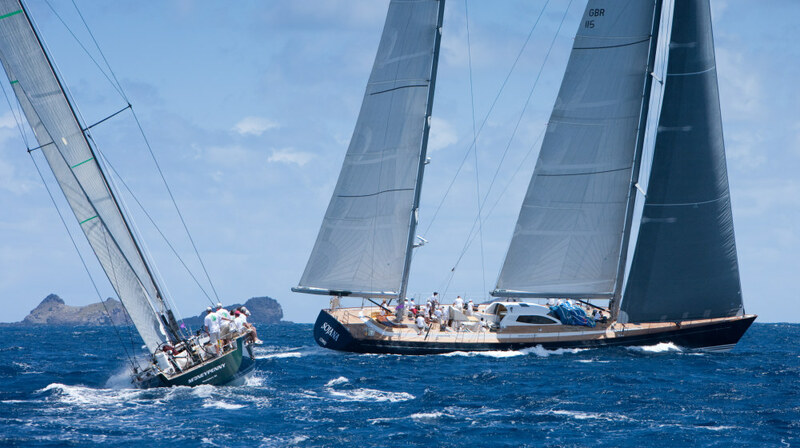 Especially since big boats come here in March for the St. Barths Bucket (yep, the spelling creeps around) and you might want to encourage those boats to stay, maintain your tourist numbers, and keep an even keel. 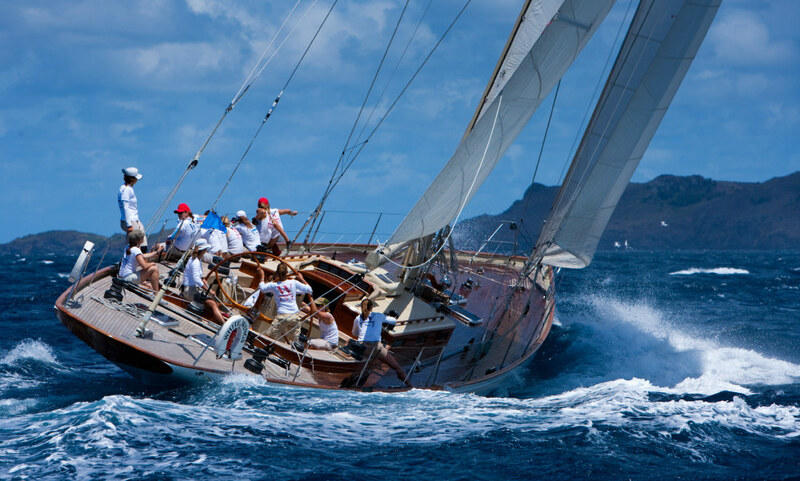 So we have the inaugural Les Voiles de St. Barth, run for the most part by volunteers from the St. Barth Yacht Club, with juice from the Comité Territorial du Tourisme. The fleet’s a bit thin. Inaugurals can be like that. But that just means opportunity when the winner in each division wins, beyond a hardware thingie, a week’s villa rental. And a lucky overall winner wins a watch from sponsor Richard Mille whose baseline timepieces retail for something like a newly-minted attorney’s starting salary. And then you get to the expensive stuff. The fleet is a mixed bag from traditional to avant to standard shoebox. 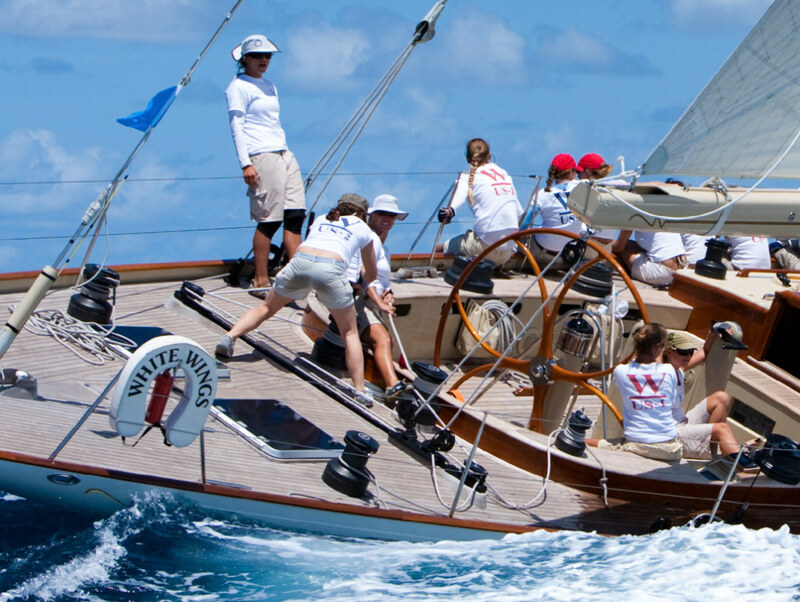 But there is a separate start for the four boats in the “super yacht” division, including the tricked out Rambler. There’s an all-woman crew aboard White Wings . . .
As with sistership Wild Horses, classic looks are mated to modern construction and a slick underbody . . . The Moneypenny crew is having a reunion. A Swan 61 looks big, until Soyana comes along at 115 feet . . .
Rambler almost did not race this week. One of her crew, the well-known Aussie pro, Peter ‘Spike’ Doriean, apparently slipped and fell in his bathroom here, suffered massive head injuries, and died on Sunday leaving a wife and two young children. 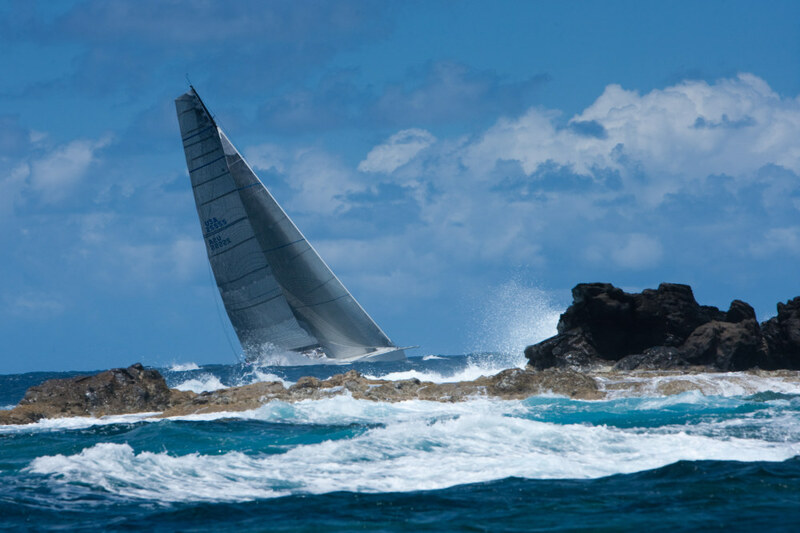 His wife, Nicki, prevailed upon the boat’s owner, David George, to sail in honor of her late husband, a veteran of two Volvo races round-the-world.